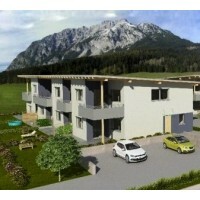 Are you interested in purchasing an apartment in Schladming? Do you want to invest into real estate in a famous Alpine resort? Schladming is one of the most popular Austrian Alpine resorts. The wonderful slopes here attract visitors from all over Europe every winter. Schladming also offers a wide range of sporting and recreational activities in the summer and attracts visitors all year round with its traditional Styrian hospitality. Apartments and houses for sale in the Austrian Alpine resorts often fall within the category of recreational buildings intended for rental. Their owners use them in selected weeks throughout the year for their own recreation purposes and the properties are rented out via specialised agencies for the rest of the time. If you purchase a new property for a further rent-out, you will be entitled to a VAT deduction. But the condition of rental of the real estate must be met in terms of its use. A similar model for use of real estate, which could provide a return on your investment on a level of around 7%, can also be chosen in Schladming. 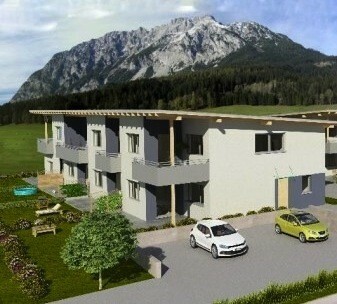 Prices of older apartments in Schladming start at a level of around EUR 120,000. New apartments can be purchased at prices starting from around EUR 180,000. Purchasing a house in Schladming is somewhat more difficult because the offer of real estate is limited. This is why parties interested in buying a house in Schladming should also focus their attention on real estate in the nearby surrounding areas of this Alpine resort. Prices of houses in this location start at around EUR 250,000. This apartment in a beautiful location is the ideal opportunity for those who want to adapt their second home just the way they want. After implementation of partial renovation, you can thus gain a flat with a wonderful view of the surrounding mountains at a reasonable price. Apartments with a floor area ranging from 72 to 82 square metres located in a new development near the centre of Flachau. Each residential unit has its own entrance, living room, one or two bedrooms and a bathroom. This is an environmentally friendly building with high energy efficiency. Apartments in a newly built apartment block providing a floor space ranging from 44 to 56 square metres. Each flat has a terrace with a wonderful view. The location ensures sufficient quiet and privacy and all necessary services are located nearby. The price includes a cellar and parking spaces can also be additionally purchased. An apartment in a newly built building situated in a quiet location not far from the centre of Gröbming. The area of the flat, which is made up of a living room, bedroom, kitchen and bathroom, comes to 55 square metres. The balcony which faces south can be accessed from the living room. Are you are interested in purchasing real estate in Schladming or its surrounding areas? Contact us. More detailed information about the Schladming location.